We can provide the customised commercial doors you need for your building project or industrial site in Newcastle. Do you have the need for commercial doors that are not standard sizing? Is your building project waiting for commercial doors, so you can continue to build your project on time? 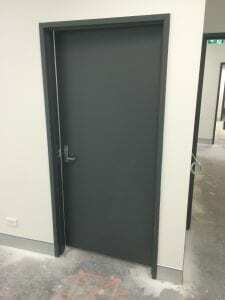 At Spartan Doors, we can provide the customised commercial doors you need for your building project or industrial site in Newcastle, New South Wales. We offer convenient options for a variety of applications, so your new doors are more durable, longer lasting, and look great when the finished project comes together. When you turn to us at Spartan Doors, we can manufacture high-quality commercial doors that are perfect for resale and distribution, can provide your clients with high-quality doors that are designed specifically for their needs, or can offer a commercial or industrial space the proper security and functionality. We also offer commercial door frames, allowing for design flexibility with size and shape. With our customisable options, you can choose the commercial doors and frames that best match the style and finish of your project or that meet your client’s requirements without sacrificing safety and security. At Spartan Doors, our knowledgeable staff can assist you in determining the specifications for your commercial doors, and our quick turnaround times mean your doors will be available for installation very soon. Our commercial doors offer a great look and feel with the benefit of long-lasting security and durability. 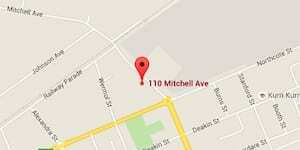 You may also want to ask us about industrial door hardware to meet your needs. Contact us at Spartan Doors today for more information. Here at Spartan Doors, we provide the highest quality commercial doors to help increase security at your home, office, or warehouse in Newcastle, Sydney, Melbourne, and Brisbane, Australia.